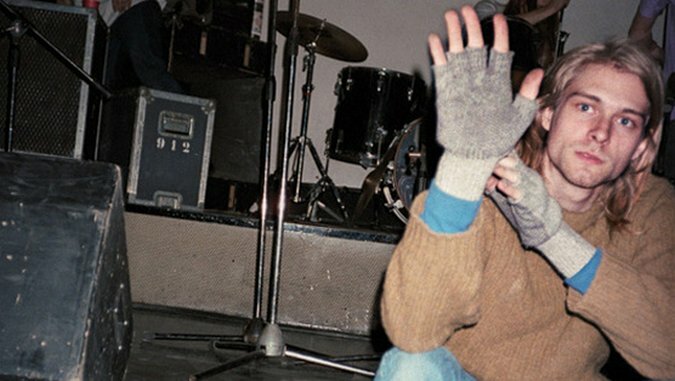 In the early days of Nirvana—before Dave Grohl, the split with the label Sub Pop, the intra-band royalty disputes and the success that elevated many indie bands to major labels and also partially crippled the system that nursed them—the band almost didn’t make it out of Rome. Of course, the group changed its mind the next morning. But this moment presented a potential hiccup in a carefully orchestrated plan by Bruce Pavitt—author of the book and founder of Sub Pop—and his partner Jon Poneman. Pavitt believed that Europe, specifically England, held the key to building a buzz that could then cross the Atlantic and bolster Nirvana’s credentials in America. Pavitt got his start in 1980 by putting together a ‘zine titled Subterranean Pop. In 1986, he formed the Sub Pop record label in Seattle, still going strong today, more than 25 years later. But back in 1988, the label’s foundation was still shaky, the future uncertain. This is an amusing story, but also a poignant one. Rocky typified the kind of corporate juggernaut that Nirvana initially set itself against. But the band would eventually achieve a similar status, as an underdog that somehow made it to the height of the mainstream. It didn’t hurt that these competing magazines commanded a high level of respect—Pavitt refers to them as “the most influential music media at the time.” So he accompanied several of his bands—Nirvana, and also Tad and Mudhoney—to the LameFest UK on December 3, 1989. Pavitt wasn’t the first or the last to take advantage of England in this way. Jimi Hendrix—who, like Cobain, came from the Pacific Northwest—couldn’t catch a break in the U.S. in the mid-60s, unless he wanted to tour as a guitarist in a soul singer’s backup band. Chas Chandler, former bassist of the English invasion group the Animals, convinced Hendrix to head to England after hearing him play in Greenwich Village. Once there, Hendrix connected with the other two members of the Experience and started recording. The next time he crossed the Atlantic, he did so as a superstar. More recently, The Strokes got the royal treatment in England’s New Music Express before they even released an album. But not every band stood to benefit from the English press bump. Pavitt suggests that his groups, unlike other indie acts, came uniquely positioned to use this positive reception to their advantage. In the late ‘80s, “the indie scene in America had a diverse mix of highly respected groups,” he writes, “such as Fugazi from DC, Beat Happening from Olympia, and Sonic Youth from NYC.” This competition, however, seemed “too idiosyncratic to cross over to a larger audience.” Sub Pop favored groups that “were less stylized and less conceptual, typically triggering a more immediate physical response, and from a wider group of fans.” They only needed access to a bigger audience. The UK’s music magazines could help with that. So Nirvana et al. headed across the pond. Before LameFest, the tour crisscrossed Europe, England to Hungary, Denmark to Italy, and on. Much of Experiencing Nirvana is a photographic tour diary: Cobain mugging for the camera, looking grim in front of the Coliseum, eating contentedly beneath a large selection of sausages hanging from the rafters. Still, it’s nice to glimpse Nirvana—unsure it was doing the right thing and unimpressed by the Coliseum—before the madness of Rocky-like success enveloped the band.